Galvanize is going global—and Google is giving it a hand. The Denver-based education startup/co-working chain/early stage venture fund announced this morning it will begin offering classes in London. 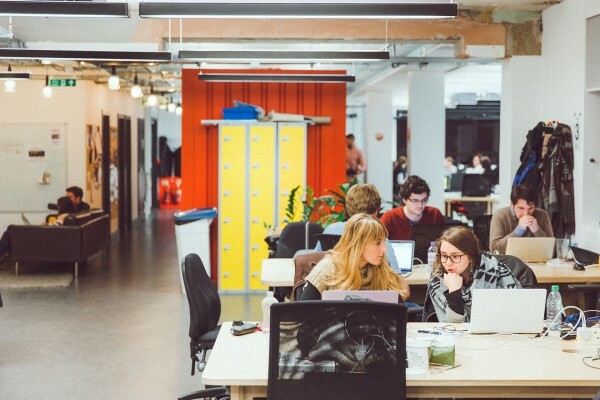 Galvanize is working with Google on the project, and the classes will be offered at Google’s Campus London startup hub in East London. Galvanize was founded in Denver in 2012. It originally was best known for its large co-working facility that grew into a gathering point for entrepreneurs and became the home of some of Colorado’s promising startups. But that was only part of the vision: Galvanize also runs computer science and programming classes through its gSchool. The school has become the nucleus of the education startup co-founder and CEO Jim Deters believes will become a leader as the education system evolves beyond the traditional schools-and-universities model. Deters said working with Google is a major endorsement of that vision. “For Galvanize, this is big. I started the company just three years ago, and seeing our first step toward international expansion is both huge validation and strong signaling of Galvanize’s potential to provide life-changing opportunities to an even wider audience,” Deters said in an e-mail. So far, Galvanize has three “campuses” in Colorado—two in Denver and one in Boulder—and one more planned to open this fall in Fort Collins. It also has large facilities in San Francisco, where it also runs data science classes, and Seattle and plans to open more in the U.S. this year. Galvanize raised $18 million for its education startup last summer, and last fall it acquired the Zipfian Academy. Galvanize plans to teach data science classes in London, with the first class beginning in July. Deters said it’s the first step in what will be a push overseas. “Our vision is a truly global community of learners, and this is just the beginning of our reach into Europe and beyond,” Deters said. The London program is a departure from what has been Galvanize’s model of running its own facilities, but the opportunity to join forces with Google made it worth changing, he said. Galvanize is part of the Google for Entrepreneurs program and has hosted events when the tech giant has come to Denver. Plus, Google already has established a number of educational programs for entrepreneurs and programmers at Campus London, which it says has more than 40,000 members. Galvanize’s data science courses are for beginners and experienced data scientists, and they include all-day classes and classes on nights and weekends. Topics will include fundamentals of data science, Python for data analysis, and applied machine learning. In addition to the gSchool startup and the co-working hubs, Galvanize also has a $10 million venture fund named Galvanize Ventures that makes seed and early stage investments.